One of the things that I find vintage sellers on Ebay or Etsy struggle with the most is figuring out who their perfect customer is. Every time I hear, “anyone would love this” I cringe a little inside. There is an old adage, if you are selling to everyone, you are selling to no one. That is so true! Something positioned blandly enough that “anyone” would love it would be so watered down as to be unbelievably boring and unappealing to everyone! I started this post in my head while I was doing my morning dishes and listening to the news. There was a segment and then they played a Rocket Mortgage ad that totally appealed to me. In the first ad a busy Mom is doing all the things that Moms do, the making dentists appointments hit me the hardest, and is aspirational, the mom is in a rock band. While I don’t need a mortgage right now, I definitely responded to the ad and noticed the Rocket Mortgage branding. Then news, blah, blah, blah, and they played ANOTHER Rocket Mortgage ad that was definitely NOT for me. It was A MAN, who plays GOLF and PAINTS. This ad is definitely not going to catch the eye of a busy mom but will appeal to golfers and maybe younger viewers who like that Ricky Flowler is well rounded. Seeing these two ads right after another sparked me to trying to explain what goes on in my head when I am trying to do sourcing, product development or sales for my store! So I was at a yard sale the other day and spotted something out of the corner of my eye! It was a rusty old, Key West style sign. It was dusty and rusty and cost a $20 (which is pretty high for something at a dorky old yard sale in the middle of nowhere). And it would have been easy to think, “ack, I wish that were in better shape” or “darn it, that old sign is only worth $50 on Etsy or Ebay”. But you would be wrong! 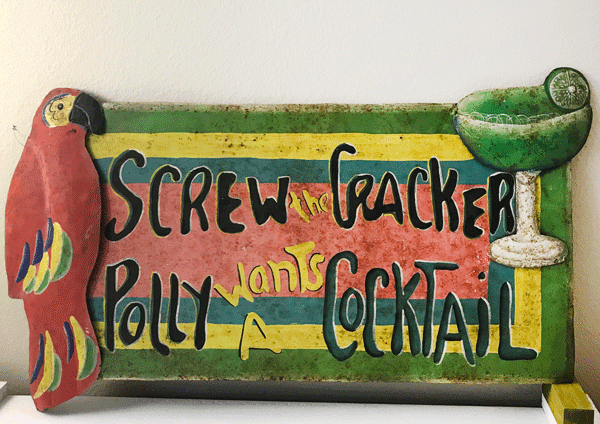 check out this sign and other fun and funky items at my vintage store on etsy… So Glamorously Vintage! WHO Is The Customer For A Rusty Old Key West Sign? 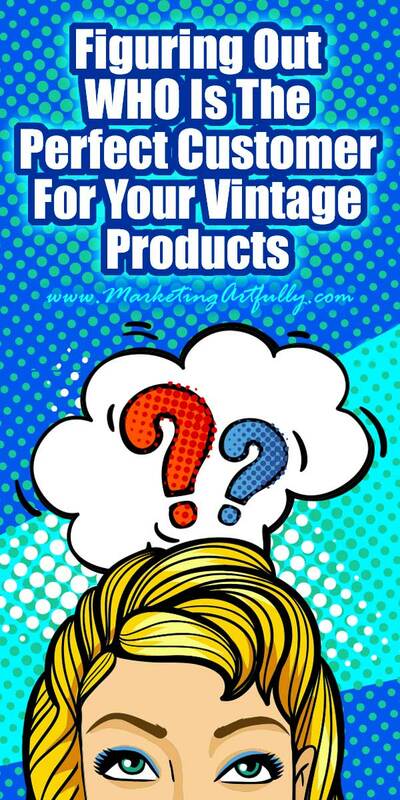 When you are selling a vintage product you cannot think, “anyone would want this!” First off there are all kinds of vintage or antique items and all kinds of people who buy them. Thinking that everyone likes old things is the surest way to shoot yourself in the foot. There are “vintage people” and then there is everyone else. My mother-in-law who grew up dirt poor in the 1950s HATES vintage anything. She LOVES buying cheap, foreign-made NEW things that she owns first. You are never going to convince her that something old is valuable because it is well made or that it is cool because it has a bit of wear on it. So first, source items KNOWING that your buyer is someone who likes old stuff… who is that? 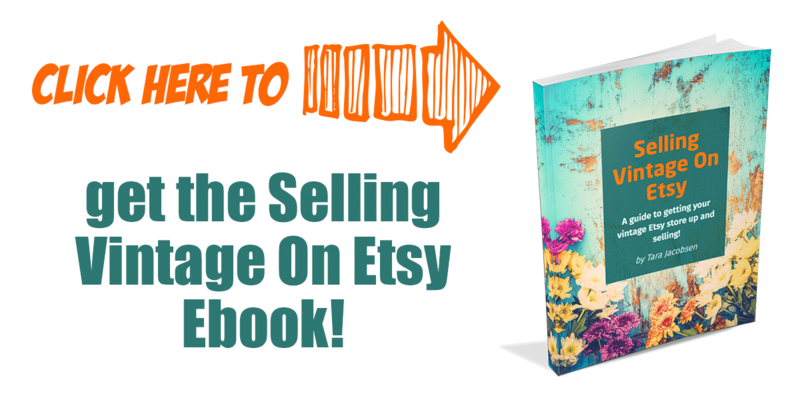 Related post: 10 Vintage Buyer Personas To Make Selling On Etsy and Ebay Easier! 2. What Kind of Quality Are They Looking For? 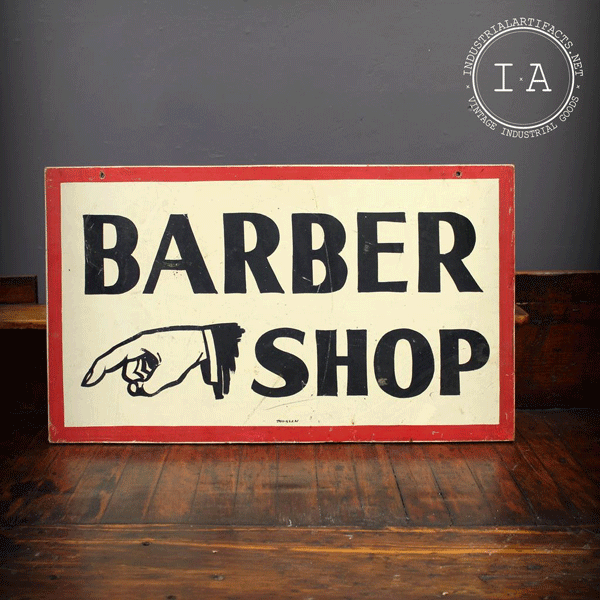 The person who is buying this sign will probably be a collector who wants a sign in good condition or someone who owns a barber shop and wants something to display in their business. 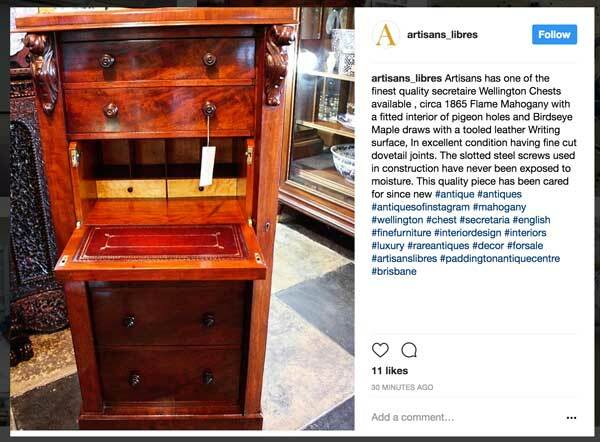 This kind of buyer is probably looking for “antiques” rather than “vintage” and that distinction is can effect how much money you spend on sourcing and how much you can make on sales. Buying antiques to sell is more expensive and can involve going to estate sales or auctions where you can determine the “Provenance” of something. This is the history of the item, maker, age, etc. In this Instagram search you can tell that the one on the top is an “antique” and the one on the bottom is “vintage”. Vintage is a little shabby and worn, but that is not to say that it cannot be cool and funky. Many of the vintage items I sell go to California or Brooklyn New York, bastions of “coolness”. But you do need to figure out who each piece will be perfect for! 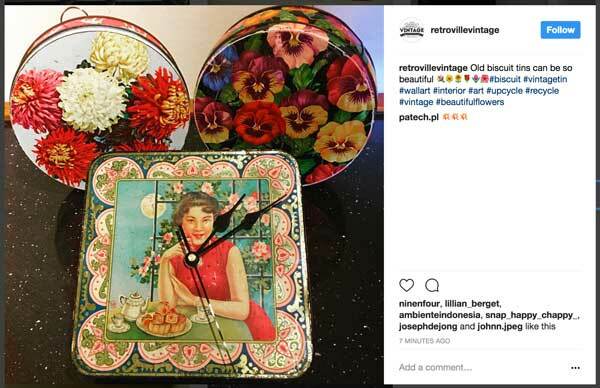 For example, advertising the old clock above with the lady eating pastries would probably NOT attract the attention of hipster cool, retro or hot. But she would be a great fit for farmhouse chic, vintage finds or eclectic life. Lastly, your vintage buyer is looking for a lifestyle to match the pieces that you are selling. Maybe she wants a super nice tea cup and saucer to have on her back porch in the afternoons to drink with a little plate of scones. Think about it, she could SO go to Bed, Bath and Beyond to pick up a mass produced coffee mug, but instead she decided to search out and find the perfect teacup from days gone by. That is a specific buyer! Oh and about that old rusty Key West sign I am selling… the Key West people like rusty. They like things to be a little dinged and dented up. They do NOT like to buy “fake vintage” at Restoration Hardware choosing instead to source fun and unique pieces to decorate their fences, back decks or patios. 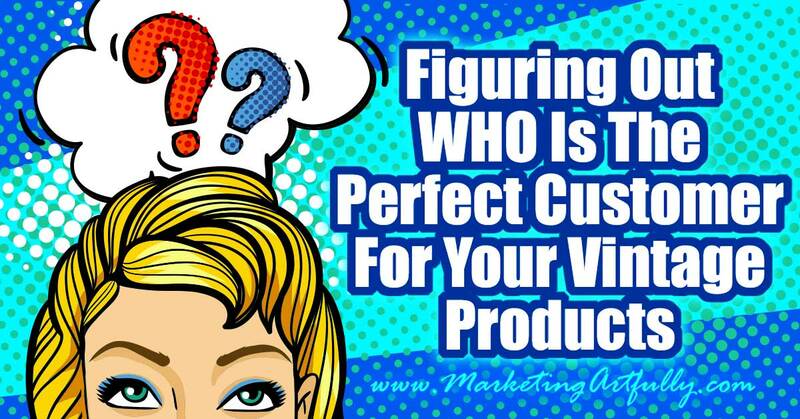 So now you are thinking about YOUR customers and who might be buying your products! Is she a sophisticated woman who wants charming touches throughout her house or an eclectic gal (like me) who loves all things vintage, old and dented? This is SO important to your business as knowing this information can help you for everything from sourcing to writing product descriptions and picking your photography backgrounds. Every step of the way is improved and made easier if you start thinking about your customers and what they are trying to accomplish in their lives!